Hundreds of Buffalo State faculty, staff, and students will spend the morning of Saturday, September 15, serving the community at Bengals Dare to Care Day. 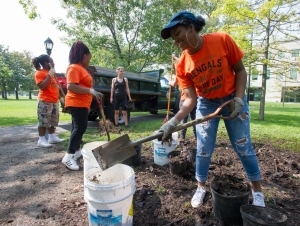 Buffalo State’s annual service day brings together members of the campus community to assist with service projects like neighborhood beautification, garden planting and maintenance, and painting. The event runs from 8:30 a.m. to 1:00 p.m. and lunch is provided afterward. Transportation will be provided to the various work sites. Pre-registration is required. The event has grown since President Katherine Conway-Turner began her tenure at Buffalo State four years ago, said Laura Hill Rao, director of Civic and Community Engagement. This year, 40 sites are being considered for volunteer opportunities, Rao said. 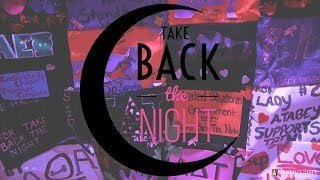 Around 70 site coordinators, made up of students, faculty, and staff, will help with the logistics of getting volunteers to their locations, which will be determined on the day of the event. After the work is done, site coordinators will lead discussions with the volunteers on why service is important. Conway-Turner said the event is a way for Buffalo State to show its commitment to the local community.